How can I make one additional unit to spawn from the building at the same time as the first unit. Like what you did with Dark Rangers and Black Spiders? Check the triggers inside the maps, basically when the Dark Ranger is trained an additional unit is created and is set to follow the Dark Ranger. With WC3 being patched alot in the last year(s) what are the DEFINITE wc3 versions to play your campaigns each (no bugs/sound/cinematic/model issues)? People really love your work but seem to use the wrong versions. Please enlighten us. CotF works properly on that version and all that came after (so far). There are a couple of issues with sound I could not resolve 100%, but it's barely noticable. I believe the latest version of RotBE is 1.28.5, so it should work properly on it. All versions that came after have a broken UI (because of widescreen) and the blood knight's skin is broken (since its path changed). There are probably also a couple of sound issues, I have not tested the campaign thoroughly yet, so I'm am not sure, but there are very few custom sounds used in RotBE compared to CotF so it should not be that noticable. I plan to fix all that sometime soon. Yes, you can use them in your project, unless your project is a melee map. Glad you like my campaigns! Soooooo Rise of the Blood Elves update when? I hope you can find a full resolution of the UI. The map is fine but the UI got butchered lol. Not sure, haven't started properly yet. Not sure how big the update will be. Hi,I've been translating CotF v3.0.1 into Chinese since the day you released it.It's almost done though I still need your permission and revision.I would also like to know if you have any plans of updating CotF recently.If you do,I'll wait for a while. May I have your email?I'd like to attach a copy to you as soon as I finish translation. No plans to update CotF at the moment. I'll PM you my email, send me a link once you're done so I can add it to the campaign's description. Oh. Ok. And what is your next project? Do you have any? Thank a lot. I plan to do a smaller update for Rise of the Blood Elves sometime in the future. Hi there. Could you give us any news for your unfinished campaign "Seeds of Faith"? Good job so far! I cancelled that project shortly after announcing it, don't plan to finish it as well. I wasn't happy with how it turned out. Hope to see more campaign especially in Blood elves campaign. Good job. Just a quick question. Do you have any plans of releasing melee map/maps in witch we can play as blood elves and/or forsaken? Love your campaigns by the way. Glad you liked it! No, I don't plan to make melee maps. Why I can't open chapter 2 of the curse of the forsaken? it's all black. What should I do? You will need to download a new updater for WC3. go to that site and you should be able to get the "new" update or whatever it is. I had the same problem, i dont think Blizz updates the game any more, its all fan based. Just finished your CoTF, it was really challenging and awesome. Thank you for your hard work! Looking forward to finishing the rise of the blood elves. Do you have any plan to make more custom campaigns? Thanks, glad you liked it! No plans at the moment for more campaigns. Greetings Tomoraider, new fan here. I found out about your campaigns from watching Jayborino play through both the CoTF and RoBE. I have been playing thru the CoTF campaign and its has been fun and challenging. At any rate. i was wondering if there was a way to play as the Blood elves and Forsaken in the custom games rather then just in the camps?? Hey, hope you'll enjoy RotBE as well! And no, there isn't any way to play them in custom games. .......Is that a limit on Blizzards part???? or just something i'm missing....hoping for the latter. But anyway, i kinda got off beat and started playing RotBE, and been going strong on it, love it, the only "real" complaint I have with both is the lack of trees.....kinda run short on lumber in the "Starter" areas a little early it seems like.....might just be me. Maybe???? But if not, oh well. How's the update for Rise of the Blood Elves going? Started it yet? How about to create an campaign on the War of the Thorns and the Burning of Teldrassil? Eh, not really a story I want to make a campaign about. 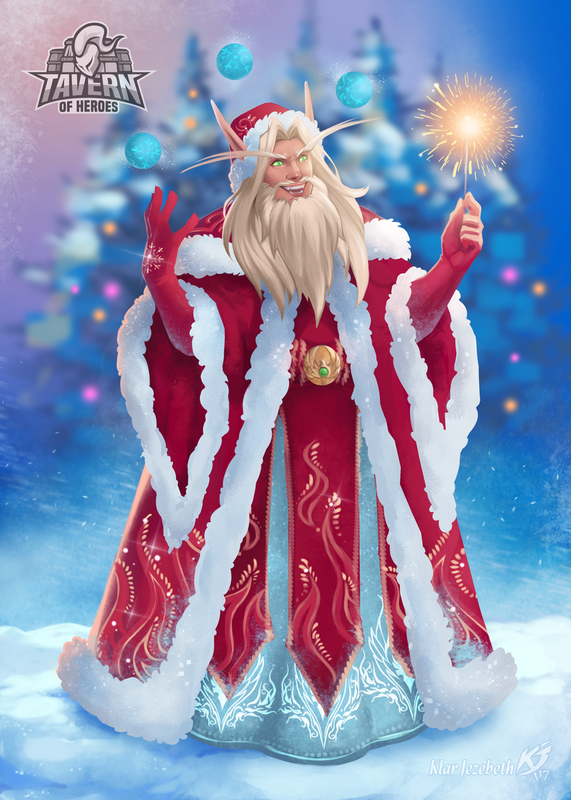 A blood elf with a beard!? Merry (late) Christmas! Depends, it's the second day in terms of national holiday dates but some celebrate it a week in the future. Hi Tomoraider, I'm a big fan of your campaigns and even allowed myself to take a look at it to improve my understanding of triggers and AIs. And I'm wondering if it would be possible for me to be able to edit some of your maps just to play with friends? The changes in question would be just to remove the AI Horde / Alliance so that they can be played by players. Sure, just as long as you don't upload it anywhere. Does CotF 3.0.1 not work on older patches? I haven't tested, but I don't think it should. At least not on anything older than 1.29.